I’m excited to be posting this amazing giveaway today. 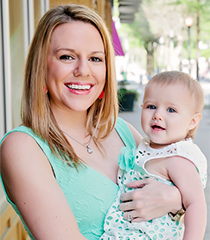 Our two favorite Summer style staples for little girls together and one reader gets to win some awesome goodies for a little girl in their life. 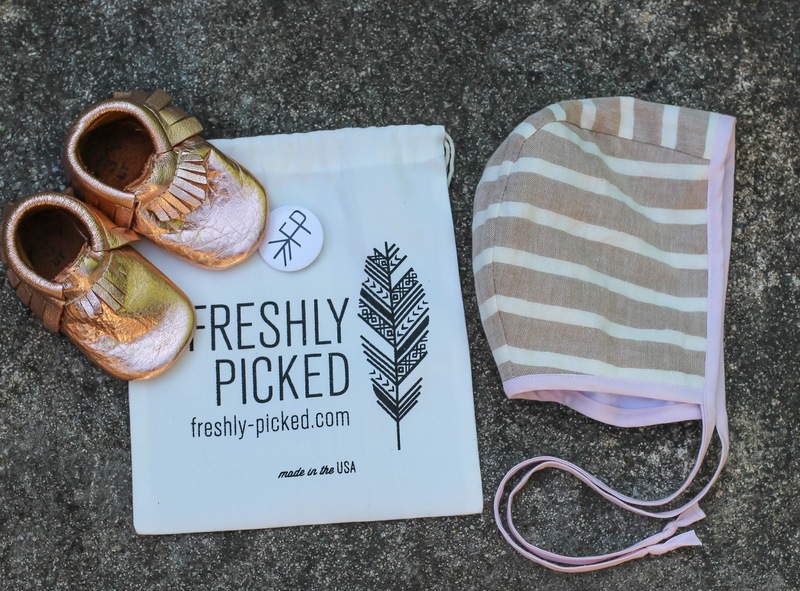 Freshly Picked moccasins have been our shoe of choice since Maddie Grace was born. I purchased her first pair right after I found out I was pregnant – I actually ordered the platinum color because I wasn’t sure what her gender would be at the time and those were her favorites until she outgrew them just around a month ago (she has really small feet). 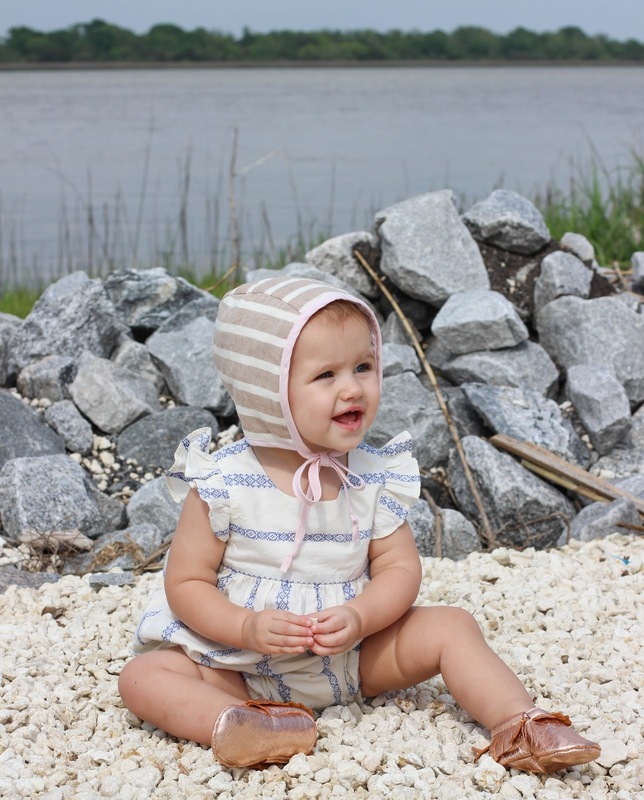 Briar Handmade is well known in the Instagram world for making the most adorable baby bonnets. This is our first one but I know it won’t be our last. Freshly Picked moccasins are the perfect summer shoe for throwing on your little one and going out to explore the world. 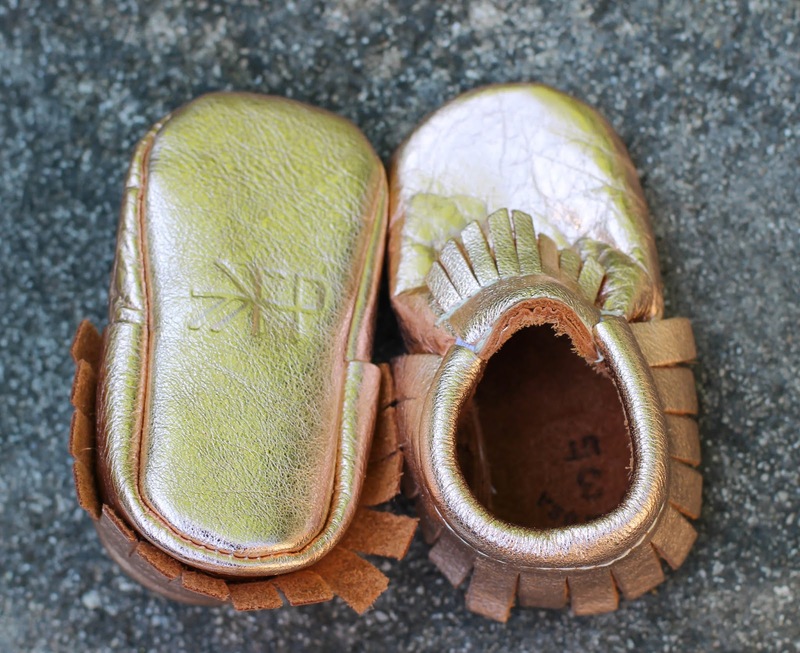 They are very well made, incredibly soft on the inside (like butter), and are 100% leather yet still breathable so your little ones’ feet won’t get too hot. They come in a ton of colors so you can have a pair to match every outfit. I am obsessed with this rose gold color that seems to go with everything. But whatever you do do not accidentally let these go through the washer and dryer (a shoe was mixed in with MG’s dirty clothes). Just trust me. I am blown away by the quality of the bonnet from Briar Handmade. 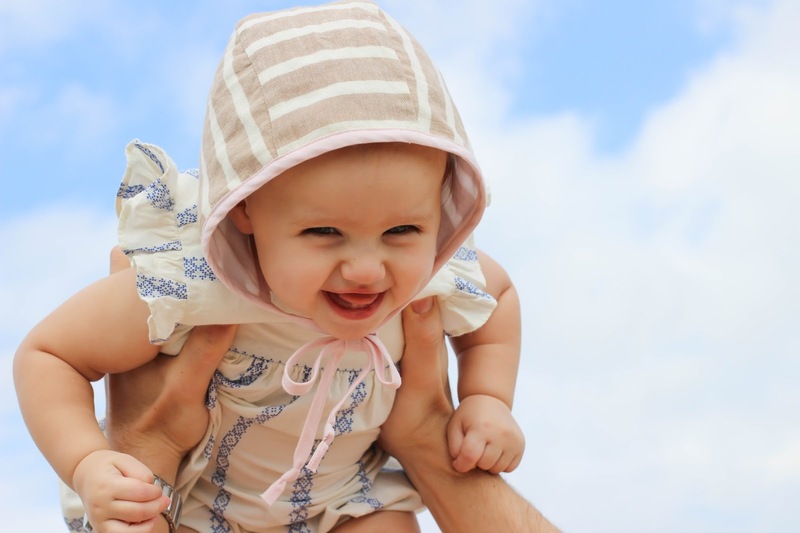 It is so important to have your child’s head covered when spending a lot of time outside, especially when your child has little to no hair. Putting sunscreen on their scalps is obnoxious, which means we rely on bonnets and hats. This Briar Bonnet Shell is incredibly hand made, and I think it is just about the cutest thing I’ve ever seen. Maddie Grace doesn’t seem to mind having it on, and I know it’s protecting her little head from the sun. Now how would you like one of each for your little one? 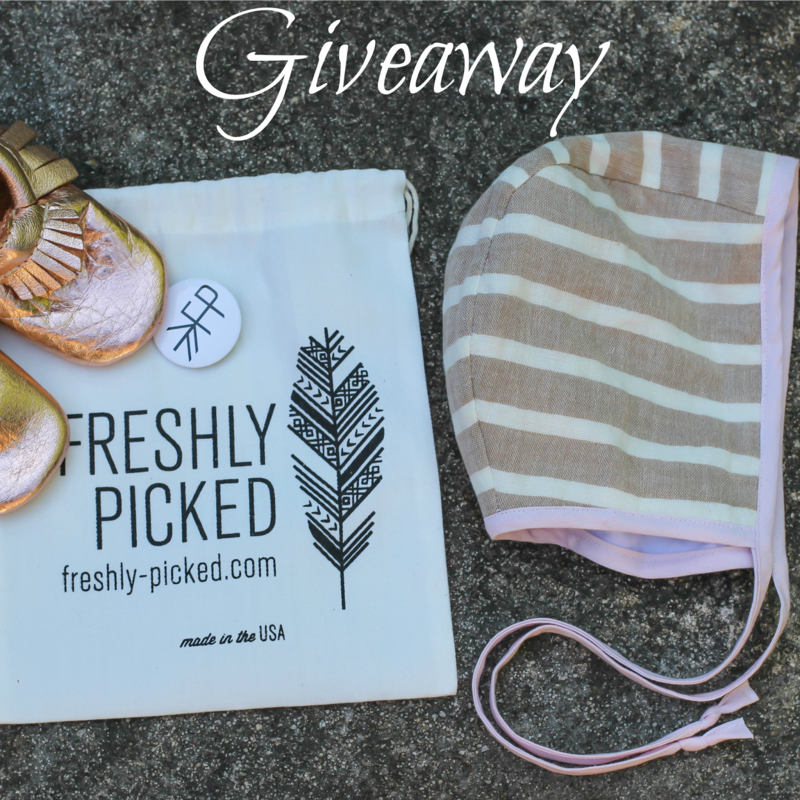 That’s right – we are giving away one pair of Freshly Picked moccasins in the color of your choice and a $40 gift card to Briar Handmade to pick out your favorite bonnet. How do you enter? That’s easy – head on over to my Instagram, follow all of us and comment tagging a friend. Then come back here and get some additional entries using the form below. As always follow me on Facebook to see the winner’s announcement! 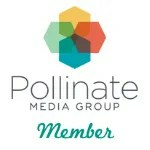 I was compensated for this post in the form of complimentary products. All thoughts and opinions are my own and I only recommend products that I truly love. I love the Utah Collection! My cousin has twin boys! Thank you! Love those cute moccasins! I need to grab a couple pair for my nieces! I love rompers for my little girl in the summer!! So easy and cute. I love rompers as well, and sundresses. Those gold moccasins are so cute! I love them! Onesies with shorts for the littlest one and adorable short set for the older ones. Dresses, skirts, and cute, fun headbands. 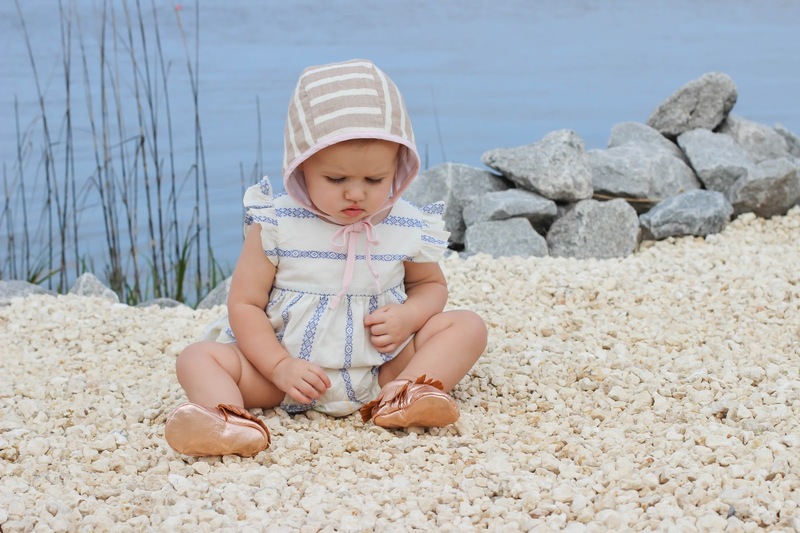 For kids in the summer…I love love love rompers. The one piece outfits are so convenient and look adorable. I love pretty cotton dresses for girls and cute tanks and shorts for boys. Adorable! I love the light khaki shorts with a light white button up shirt and sandals for my baby boy..he looks so cute on that summer outfit 🙂 with his sunglasses of course! Those little bonnets are so cute! I also love little overalls. I love short overalls, with a hat! I like sundresses and sandals on her. My favorite summer style is sundresses, sandals and a hat. 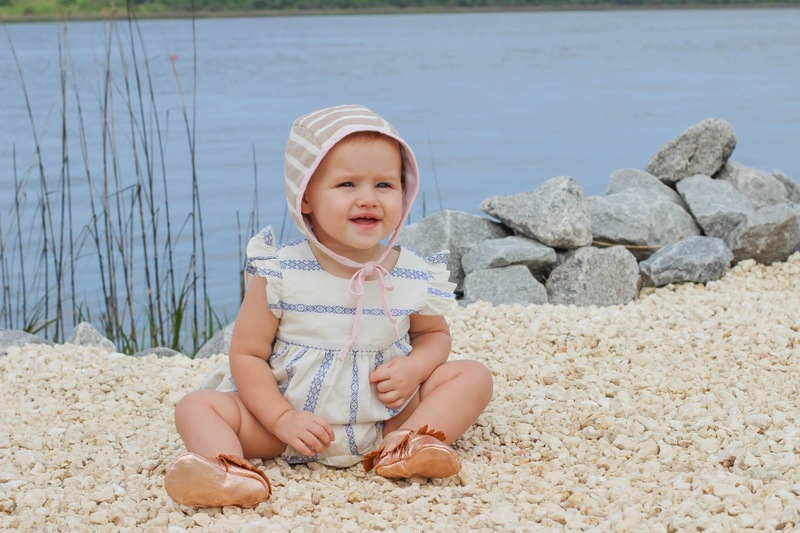 Love seeing my daughter in rompers for a summertime look! So cute! !